It is our great pleasure to invite you to participate in the conference Geologica Carpathica 70 that will be organized to celebrate the 70th Anniversary of the foundation of the journal Geologica Carpathica. The conference will take place in Smolenice, Slovakia on October 9–11, 2019. For more information visit the webpage of the conference. Geologica Carpathica is published six times a year. The distribution of the journal is done by Earth Science Institute, SAS. Geologica Carpathica is an established journal which invites to submit original papers within the scope of the journal, it ensures a high-quality, objective and fair peer review of the manuscript by 2-3 referees. Geologica Carpathica covers a wide spectrum of geological disciplines including geodynamics, tectonics and structural geology, volcanology, stratigraphy, geochronology and isotopic geology, karstology, geochemistry, mineralogy, petrology, lithology and sedimentology, paleogeography, paleoecology, paleobiology and paleontology, paleomagnetism, magnetostratigraphy and other branches of applied geophysics, economic and environmental geology, experimental and theoretical geoscientific studies. Geologica Carpathica, with its 60 year old tradition, presents high-quality research papers devoted to all aspects not only of the Alpine-Carpathian-Balkanian geoscience but also with adjacent regions originated from the Mediterranean Tethys and its continental foreland. 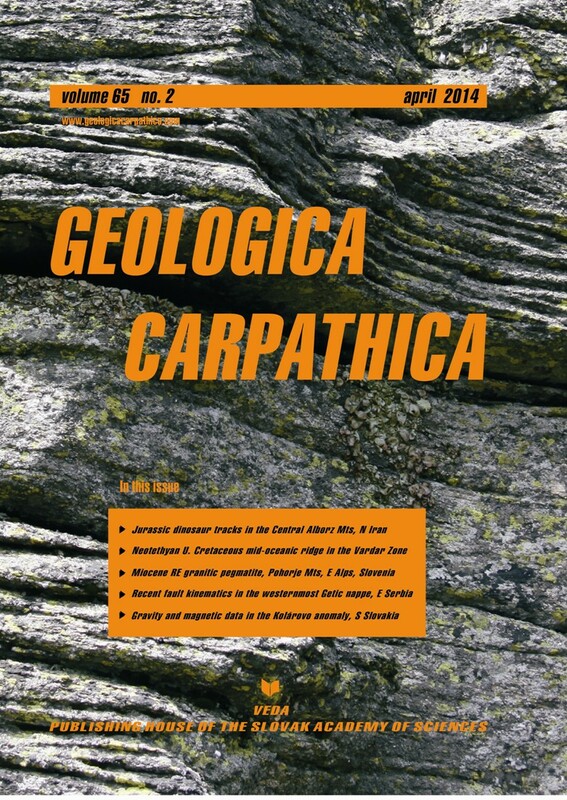 Geologica Carpathica is an Official Journal of the Carpathian-Balkan Geological Association. Subscription rate is institutional 189 EUR and individual 69 EUR per year.